Access to outdoor space is crucial to our health and wellbeing. The aim of the Dementia Friendly Garden is to raise awareness of dementia, and to illustrate how design -- and a supportive and therapeutic physical environment -- can support people living with dementia. A person with dementia may experience difficulties with short-term memory, comprehension, orientation, spatial awareness and visual perception. They may also experience anxiety, stress and increased sensitivity to stimuli such as noise or glare. Age-related changes may also be an issue, such as reduced mobility, impaired vision, or hearing loss. Dementia friendly design aims to provide safe, accessible and calm spaces; enable orientation and navigation; afford good visual access; support personalisation and familiarity; facilitate mobility and activity, and provide gentle multi-sensory stimulation. The journey to Bloom began in 2013 when Clive Jones of landscape company, Newtown Saunders Ltd, supported by Enterprise Ireland (EI), funded TrinityHaus to undertake a research project into dementia-friendly gardens. Sinead Grennan and Noreen Keane, representing Sonas apc, an award-winning dementia training organisation, came on board in 2015, and the research results were piloted. The design was led by Tom Grey, a Research Fellow at TrinityHaus, Trinity College Dublin, who with his architectural background, has undertaken many age-friendly and dementia-friendly design projects. To make the garden more people centred and representative, the Bloom Dementia Friendly Garden, sponsored by TLC Nursing Home Group, was designed for a fictional couple – Pauline and Andrew. Pauline was diagnosed with dementia three years ago and her husband Andrew has mobility issues. The figure below outlines how the garden applies the principles of dementia friendly design, and incorporates features that resonates with their lives and lived experiences. Outdoor activities as a form of therapy: outdoor activities such as gardening offer cognitive stimulation, while at the same time providing familiar tasks and opportunities for reminiscence. A supportive space to engage with others: when outdoor activities are carried out with others they provide a relaxed shared experience that supports both verbal and non-verbal engagement. Outdoor activities as physical exercise: going outside and carrying out activities is an obvious form of physical exercise. However, the additional benefit is that these are pleasant experiences that many of us will undertake without thinking about it as a chore. 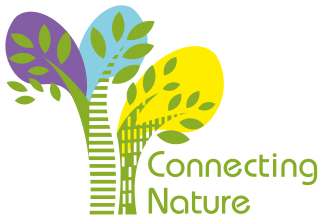 Exposure to nature: connection with nature and natural processes is good for our health and wellbeing. Contact with plants, wildlife, and natural elements such as a breeze or sunshine, can have provide gentle multi-sensory stimulation, relaxation, and a sense of place and belonging. Exposure to natural light: this not only provides vitamin D, but also helps to regulate circadian rhythms and therefore aids better sleep patterns. Spiritual wellbeing: for many people contact with nature or natural events such a sunrise or a sunset resonates on a spiritual level. For some this may have religious meaning, such as lilies or daffodils at Easter, for others it may be just about mindfulness or a peaceful place to meditate. Orientation to place and time: access and views to outside can reinforce the time of day or season. Outdoor spaces and objects can also provide good landmarks and spatial anchors for us to recognise where we are, and help us get from one place to another. Restoring and supporting attention: attention is one of the cognitive functions affected by dementia. A well-designed garden can provide elements that support attentional restoration, such as a distinct space, a coherent experience, and a level of fascination and engagement that helps a person focus on the experience or task at hand. Change of scene: a person living with dementia may spend more time at home and therefore the garden provides a welcome change of scene, or a break from the internal environment. Building on their success in 2017, the Bloom Dementia Friendly Garden team will be returning to this year’s festival with a garden entitled the Moments in Time - Dementia - Understand Together Garden. The garden is sponsored by the Dementia - Understand Together Campaign, a public support, awareness and information campaign led by HSE, working with The Alzheimer Society of Ireland and Genio campaign. Reflecting the ethos and message of the campaign, the garden will provide a gentle space for people who are on the dementia journey to experience togetherness and understanding with another person. The garden presents a short walk providing a calm, supportive and multisensory experience. This walk will also act as an exhibition, displaying photographs of everyday Irish life to remind us that people living with dementia lead rich lives and that we are all part of a community. The path leads to a central seating area where a small number of people can sit together, chat about memories or thoughts prompted along the walkway, or just spend time together. Drawing on a strong evidence base, both of the lived experience of dementia and principles of dementia friendly design, the garden also communicates key messages from the Understand Together campaign about embracing and including people living with dementia as active members of our community. Dementia Friendly Gardens demonstrate the power of nature for all of us, but especially how nature can be harnessed to offset the difficulties faced by people living with dementia. Showcasing dementia friendly garden design at the Bloom Festival, in both 2017 and 2018, provides an excellent opportunity to illustrate nature-based solutions as therapeutic spaces, demonstrate how they contribute to healthy ageing and overall wellbeing, and to bring that message directly to the more than 120,000 people who visit the festival annually.